Wesley Picotte is a wilderness landscape photographer based in Portland, Oregon. You can check out his wilderness photography at WesleyPicotte.com. He's also a digital strategist, and has been developing online marketing strategy and programs for more than fifteen years. He combines his passion for photography and expertise in social media, SEO, content marketing and web analytics at NaturalApertures.com, an online marketing resource for serious photographers. You can find him on Twitter and Google+. Tilt-shift lenses offer photographers several key benefits. In-camera perspective control, creative focus, and superb image quality are three biggies. Creating seamless panoramic photographs and high-resolution image files for BIG prints are two more (read A Primer on Tilt-Shift Lens Advantages for a summary of each). Plenty of notable photographers espouse the virtues of tilt-shift. Jack Dykinga adopted digital photography as a professional after he mounted a tilt-shift lens to his 24-megapixel Nikon D3 and found that he could create prints that rivaled the quality of the 4x5 shots that built his reputation as a master of landscape photography. Darwin Wiggett, the well-known landscape photographer from Alberta, Canada, is another. Darwin has been creating incredible landscape and nature photographs professionally 1991, and along with his life and photographic partner, Samantha Chrysanthou, he recently published The Tilt-Shift Lens Advantage eBook (read the review here). I had a chance to interview Darwin and Sam, who together founded oopoomoo.com (a really useful and unique photography how-to site), to learn about their eBook and the role tilt-shift lenses play in their award-winning photography. Lets dive right in. What have been the main benefits of tilt-shift lenses to you as photographers? The benefits are mostly creative control over the look of the image. Not only can we control perspective with shift to correct keystoning so we do not get wonky lines, but with tilt we can control the placement of the plane of focus in the image to give us more control over which areas of the image are sharp or blurred. Such control allows us to direct the viewer’s eyes to what we feel is most important in the image frame. We also use shift to create images with formats beyond the 3:2 dSLR standard (e.g. squares and panoramas). These lenses are also very sharp! Popular sentiment says it's not the camera (or lens, in this case), but the photographer who makes great photographs. You state as much right up front in your tilt-shift eBook, as well, but do you feel that using tilt-shift has influenced how you make creative choices in the field? Tilt-shift lenses give us more creative choices than a regular lens. We just have a bigger tool box with these lenses! You still need to be expressive and have creative vision; these lenses do not create magic on their own! Indeed, we have seen people buy these lenses to recreate the types of photos we do who end up frustrated in the end…you have to honour how you see the world. In other forms of art, people don’t assume that they will ‘make art’ just by purchasing a certain tool: just because you use the same paintbrush as Picasso does not mean you’ll make the same paintings! But in photography, gear is king, and it’s hard to see beyond all the cool stuff out there - it’s great to be inspired by what others do, but then you want to go out and put your own unique stamp on things. The eBook is really just an introductory guide to some of the many things landscape shooters can do with these lenses. Tilt-shift is used in architectural photography, due to the ability to correct perspective in-camera, and of course you're both known as landscape photographers. Are these the two genres of photography where tilt-shift has the most application? There are plenty of wedding and portrait photographers who use Tilt-shift lenses mostly for the ‘miniaturization effect’ with tilt or for making very funky and wonky slices of focus through the frame that are only possible with tilt. Most food photographers and still life specialists also use these lenses mostly for control over the plane of focus. 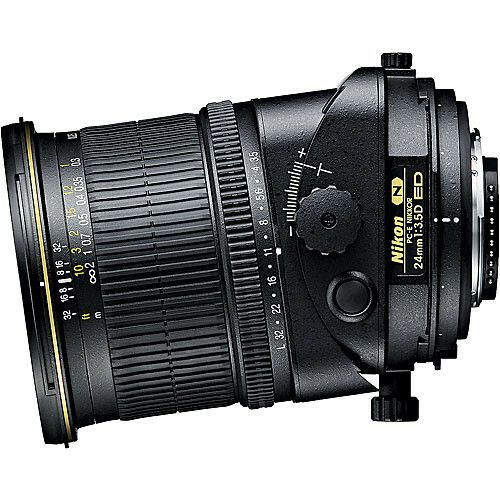 You can even use the 85mm Nikon and Canon 90mm Tilt-shift lenses for macro and close-up photography when coupled with a short extension tube. Are tilt-shift lenses for everyone? Definitely not! These are lenses requiring a precise workflow that is not intuitive for many people. Plus they have no auto-focus and no zoom capabilities. At least half the people we see buy these lenses end up selling them within a year because they never master the lens or they don’t like giving up the convenience of their auto-focus zoom lenses. We always say rent before you buy to see if the advantages of the tilt-shift lenses work with your creative vision. There is a faction of photographers who argue that the classic miniature effect, as well as perspective control, these specialized lenses provide can be replicated using software. As tilt-shift enthusiasts, what do you think? You can create the miniaturization effect using software or using cheaper lenses like Lens Babies. Also perspective can be corrected in software. If you only do these effects occasionally then for sure go with the software or cheap lens route. But be aware that stuff done in the computer always pushes and pulls pixels, degrading the image and tossing out data. When done in-camera with an actual tilt-shift lens, the data is not altered. The same image fixed in software (or shot with a Lens Baby) compared with a tilt-shift version will look very different in terms of quality. If you buy expensive cameras with high quality sensors, why wreck the quality with software fixes? Tilt-shift lenses are expensive relative to many standard lenses. In addition, the tilt-shift workflow (which your eBook describes well) is longer and more involved relative to standard primes or zooms. Do other considerations exist for people who are contemplating the tilt-shift plunge? Expensive and more difficult workflow are definite cons! Remember these are prime lenses. I need to carry a 24mm, a 45mm and a 90mm to have nearly the same coverage as someone with a 24-105mm zoom. Zoom lenses are powerfully creative (and powerfully convenient). Most people don’t like giving up the creative and convenient possibilities of zooms! You've described how tilt-shift lenses have benefited you as photographers. Anything to add for photographers who are considering tilt-shift for their own photography as counterbalance to the expense or other cons? Using prime lenses (whether tilt-shift or not) makes you a better photographer by forcing you to ‘see’ as the focal length does and by understanding how lens choice affects the feel and story of your images. Adding the extra cool effects possible using tilt and shift especially in combination really makes us able to express ourselves creatively in ways not possible with zoom lenses. 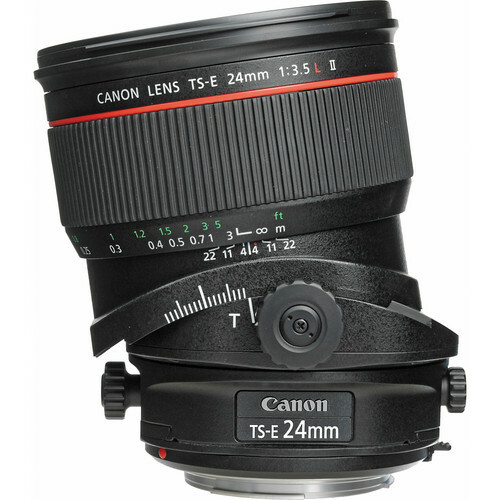 There are free online resources that cover tilt-shift lenses pretty effectively. You even reference a couple in your eBook, so tell us why someone should purchase The Tilt-Shift Advantage in the first place? There are free resources that cover a few possibilities and techniques with these lenses but none that offer an exhaustive treatment in an easy to understand manner. Plus there is a lot of stuff out there that is simply not accurate or is so technical to be nearly incomprehensible. Also, almost every tutorial has images from tilt-shift lenses that are terrible! We aimed to fill the eBook with inspiring images that are hopefully a pleasure to view on their own. We show some of the possibilities that you can do with your own tilt-shift lens and creative vision – awesome photos! To learn more about tilt-shift lenses, read A Primer on Tilt-Shift Lens Advantages. If you're ready to take one for a test drive, I highly recommend that you check out oopommoo's The Tilt-Shift Lens Advantage for Outdoor and Nature Photography eBook. Darwin and Sam are fun personalities and great writers, and their eBook is packed with easy-to-understand information and their beautiful photography. Well done, oopoomoo! I also highly recommend that you follow Darwin and Sam's advice and rent a tilt-shift lens before buying one. That’s what I did and I'm glad for it. Experiencing the workflow and versatility of this lens firsthand allowed me to determine whether a specialized, manual prime was for me. I was completely blown away, to say the least, and took the tilt-shift plunge! There is a well known photographer out there taking a photo of the foreground, then one in the middle of the scene and then the background, and then he BLENDS them in a program to get max depth of field, in your opinion does this give a better result than using a tilt/shift lens? ?